TenSquare is a national charter school support organization that works alongside schools, districts, state and federal agencies, and charter authorizers to make lasting and measurable change in public education. Based in the District of Columbia, with an office in New Orleans, TenSquare has practice areas in school performance, talent services, facility development, and authorizer/agency support. TenSquare team members bring academic, operational and management expertise from top tier schools, networks, CMOs and state agencies from around the country. 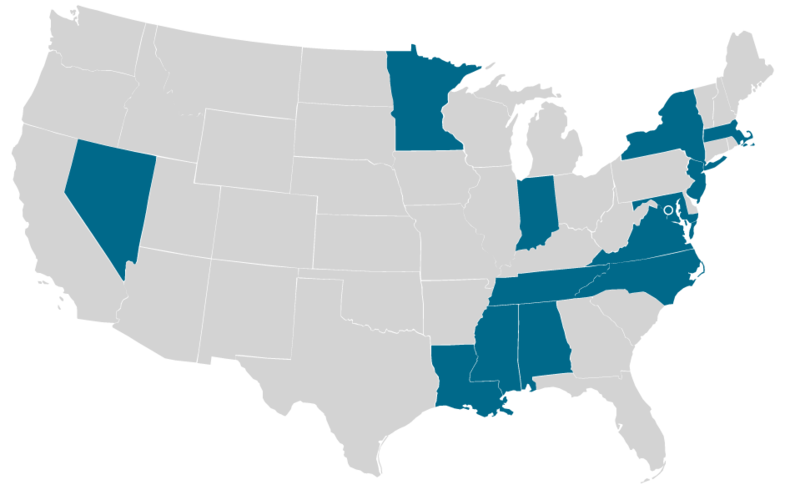 TenSquare can provide consulting services to all 50 states, and has current or planned operations in the following locations: Alabama, District of Columbia, Indiana, Louisiana, Maryland, Massachusetts, Minnesota, Mississippi, Missouri, Nevada, New Jersey, New York, North Carolina, Tennessee, Virginia. We believe that because of high expectations, increasingly complex regulations and more demands to operate effectively, performance matters. We believe that the era of opening or running a charter school based on a novel idea is over, and the bar for operational excellence is now much higher. We believe that as regulations increase and performance expectations change, it is no longer reasonable to expect schools to be successful by going it alone. We believe that the key to charter school success in the next 25 years means methodically putting ideas into action. We believe that what makes a school great is far more about day-to-day implementation than it is about the next big idea. We believe that schools must make hundreds of operational decisions that profoundly affect educational outcomes in the short and long-term. We believe in schools and school districts maintaining control of their educational outcomes. We believe that schools are not all good or all bad, but valued institutions that are fragile and need support. We believe in rolling up our sleeves and working in a school building alongside leaders, teachers and staff to jointly create superior outcomes. We believe that the boards that govern charter schools want to be good stewards but even the most dedicated volunteer may not know or ever learn enough to do the job. We believe that closing a school, while sometimes necessary, does not solve everything and helping a school improve is worth the pursuit.